Elvis is on the roof watching the street life on Broadway Street, or Lower Broad as it’s known in Nashville. Is that really Elvis? He must be still alive. There he is on the roof. 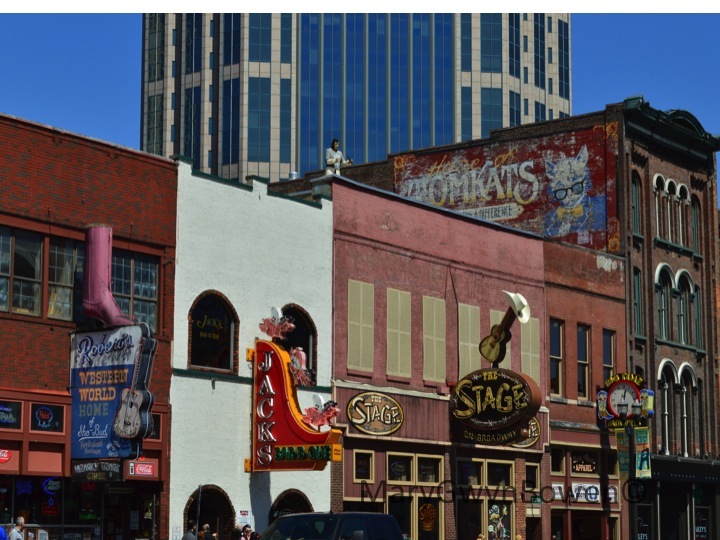 This entry was posted in art, photography and tagged Elvis, Nashville Tennessee, postaday. Bookmark the permalink. The company signs are only in the tourist area. We don’t have anything fun like that in other places. I was never an Elvis fan. I preferred the Beatles! I am not a credit to my home state!